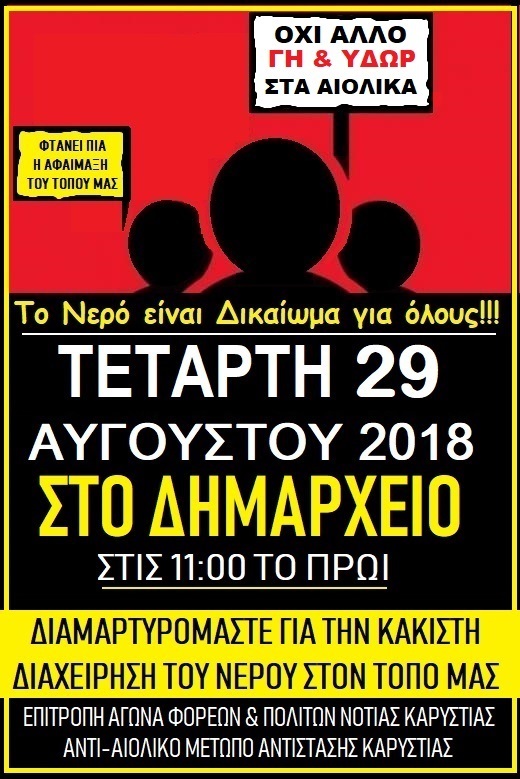 Tomorrow, Wednesday at 11 a.m. we gather at the Karystos town hall in order to protest for the local water management. While our fellow beings run out of WATER for hours, at the same time, the wind-turbine companies waste it without control!!! Water in priority for the citizens - NOT for the wind-turbine companies. We protest for the way water is managed in our local area. It is essential for all of us to be there.